SAVE THE DATE - Pow! Wow! San Jose this October! We are proud to announce that the internationally renowned POW! WOW! 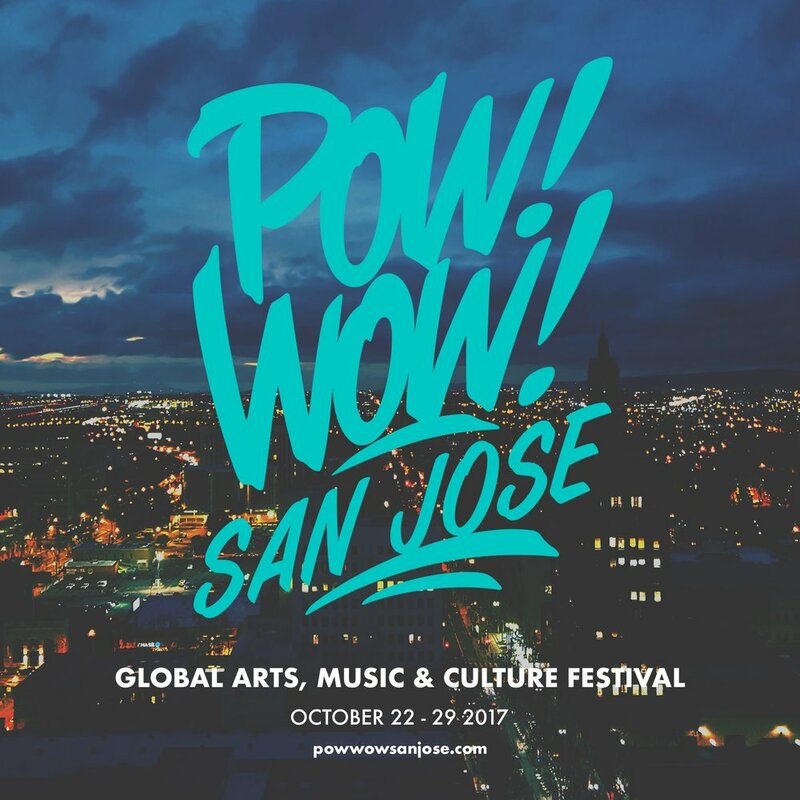 arts festival will be making its way to the city of San Jose this October 2017! After many months of networking and planning, we are ready to bring this celebrated institution to our beloved community, adding to the growing roster of cities, countries, and entities that have participated thus far: Hawaii, Hong Kong, Israel, Japan, Taiwan, Antelope Valley, Long Beach, SXSW, Washington D.C., Worcester, and now San Jose. There will be more updates and announcements about our schedule of events, partners and sponsors in the weeks to come, so please stay up to date with us on our social media portals: Facebook (@powwowsanjose), Instagram (@powwowsanjose), Twitter (@powwowsanjose), and on our website, www.powwowsanjose.com.